Experience authentic Chinese cuisine in a way you never thought possible. From our family to yours we provide an unforgettable dining experience. We only make use of the freshest, highest quality, ingredients. Come in and taste the difference quality makes! Come in and see what amazing dish we have on special. 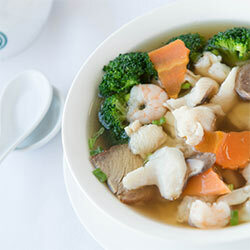 Specially designed to tantalize your taste buds with the flavours of China. We take great pride in providing you with a unique dining experience and make sure our specials are sure to surprise and delight you. Shrimp, chicken, beef, pork, broccoli and delicious wontons. Hot, fresh and made to order. Need I say more? Savoury and delicious with just the right amount of heat. 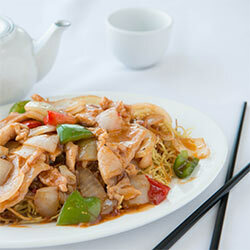 Try the perfectly balanced flavours of our Szechuan style chow mein. Creamy and sweet with just the right amount of crunch. 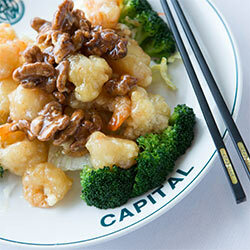 Our delicious capital prawns will have you coming back. 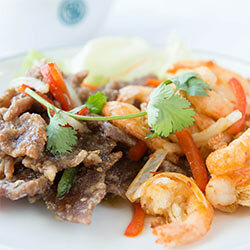 Sweet and crispy ginger beef is great, but pair it with peppery prawns and you are in for a treat. ENJOY ONE OF OUR MOUTH WATERING APPETIZERS! Flaky and golden brown our spring egg rolls are stuffed with a savoury mix of pork, shrimp and crisp fresh Chinese vegetables. Hot and crispy our chicken wings are the perfect way to wet your appetite before the main course arrives. Looking for a little more flavour? Try our peppery chicken wings. Give your taste buds a trip they wont soon forget. A classic favourite. Our home made cantonese style Won Tons deep fried and served with our signature sweet & sour sauce. If you love our pork then you have to try our cold Barbecue pork appetizer. Barbecued to perfection and ready to eat. We want to thank everyone from our long time customers to those of you we haven't have the pleasure of meeting yet for taking the time to visit us online. We hope to see you soon.